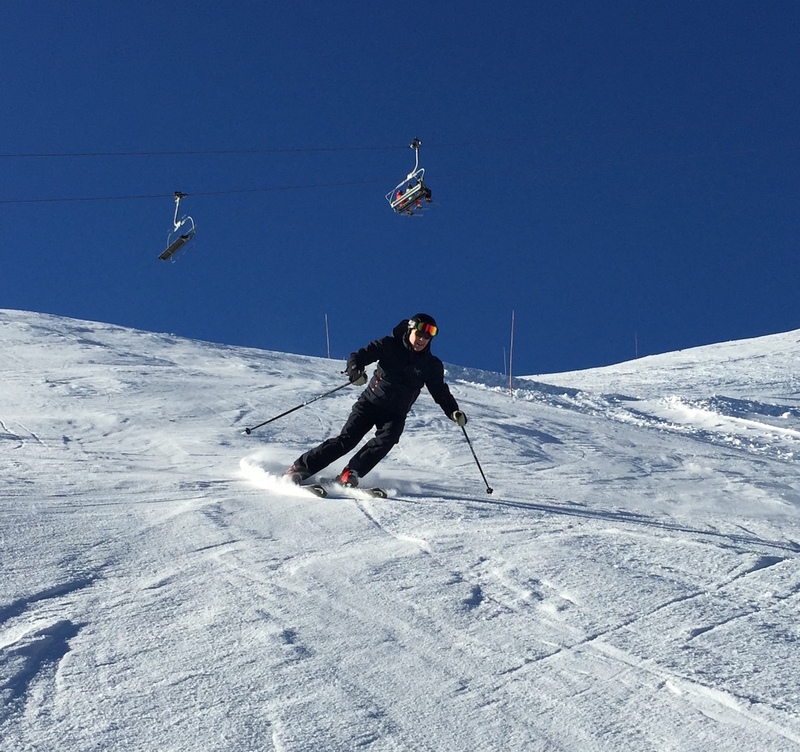 I’m Michael Harrison, a private ski instructor in Méribel and Les 3 Vallées, passionate about helping people improve their skiing, ensuring they get more out of their time on the slopes. 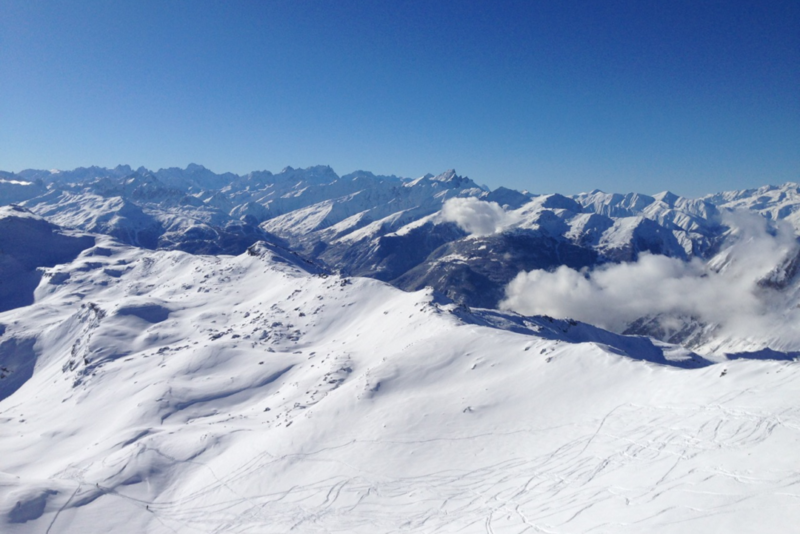 I fell in love with the mountains on my very first ski holiday in my early twenties. Realising that I wanted to spend more time in this environment, I decided to devote my winters to living in the Alps and improving my skiing. My background as a musician instilled in me the discipline to practise and train through any setbacks. Soon, I was progressing through the ski instructor grades. I became fully qualified with the highest award attainable in 2000 and have taught skiing in Méribel and Courchevel ever since, helping hundreds of people to maximise their potential on the slopes. Away from the mountains, I tour all over the world as a professional musician. Alongside performing, I have presented workshops on learning processes, mental techniques and strategies for performance at universities and conservatoires in the UK, USA and Australia. Michael’s carefully thought-out, structured way of teaching skiing is second to none. and become a better skier! I have been living and skiing in Méribel for over twenty years and as someone who first clicked on skis as an adult, I can still remember what it’s like to learn. Ultimately, I understand that you are on holiday and want to enjoy your time on the slopes. Everyone has different skiing aspirations; from just enjoying the mountain environment, to taking your skiing to the highest level possible. I’m passionate about helping people improve their skiing and to get more out of their time on the slopes. Whatever your personal goal may be, I can help you achieve it. I’m often told by people who have skied all over the world that, once they come to Les 3 Vallées, they never want to ski anywhere else again. It really is the most incredible ski area, offering such a range of skiing that, even after more than twenty winters living here, I’m still finding little hidden runs that I’ve never skied. With its traditional chalet-style buildings, Méribel is one of the prettiest ski resorts in the Alps. It has the greatest variety of skiing in Les 3 Vallées – from beautiful tree-lined runs which are perfect for beginners, to dramatic high altitude descents off rugged mountain peaks. Situated at the heart of Les 3 Vallées, you have unrivalled access to the neighbouring villages, enabling you to make the most of your 3 valley lift pass. The Courchevel valley is made up of five interconnected villages, each one with its own individual character. Famous for its challenging couloirs, it is an equally excellent choice for absolute beginners and, for intermediates, there are miles of blues and reds to cruise. Should you wish to splash out on fine dining, Courchevel also boasts no fewer than nine Michelin starred restaurants. "Michael combines his talents as a wonderful skier and teacher with a real ability to inspire and motivate children. They loved being with him and cannot wait until next year." "Michael taught me to ski from my very first day as a very nervous, unfit, middle aged woman. Some years later, I can now ski pretty much anywhere, including the odd black or two. He has wonderful knowledge, patience and skill as an instructor, combined with an engaging personality that makes a day’s skiing with him such a pleasure." "I had always been a nervous skier. With Michael I always felt totally safe and therefore could just concentrate on learning at my own pace." "Although I had skied for many years I lacked control and confidence. I then spent four days skiing with Michael and was totally transformed. It was also a fun experience. You can either ‘bend ze knees’ and fall over, or ring Michael." "When I first started lessons with Michael, I was firmly on the intermediate plateau. Getting about was a lot more work than it needed to be. I told him that I wanted it to be beautiful! We met up regularly over a few seasons (still do for a brush up) and the results have been truly life-changing. I now have a “toolkit’ of different techniques for whatever the mountain can throw at me. And yes, it’s beautiful….well, most of the time." "Michael’s carefully thought-out, structured way of teaching skiing is second to none. I can’t recommend him highly enough." "I never really liked skiing until I had Michael as an instructor. We have skied in many resorts in different countries and he is the best instructor we have ever had. He is great for all the family, even though we’re all at different levels. Michael makes our half-term holiday one that we look forward to each year." "When people ask me about my skiing I always explain that I have skied in most of the top ski resorts in the world and have never been on a run tougher than a green without being scared witless. When I skied with Michael last year, not only did I ski a blue but I enjoyed it - he listened to my fears and then worked out a way to help me." "He makes learning such fun." What are your qualifications to teach? I am fully qualified in both the British BASI and French ESI ski instruction systems (The International Ski Teacher Diploma). I had 15 years’ experience working as an instructor for École du Ski Français before setting up as an independent instructor. I offer lessons and guiding to skiers of all levels, from absolute beginners to experts. Do you teach groups as well as individuals? Do you teach everybody in the same way? My clients have priority in the lift queue. Please include your preferred dates in your message. I’ll get back to you when I come down from the mountain! Oscar and Olivier have a great selection of ski equipment at the best prices around. They’ll get you ready for the mountain in their central Méribel shop or can deliver to your chalet. Click HERE to claim your 30% discount code – exclusive to my clients! Ranked #1 and #2 on TripAdvisor, Delicious Mountain present the top luxury catered chalets Meribel has to offer. They are a small, independent business based here in resort. With over 175 five-star reviews, they offer the highest levels of luxury service.